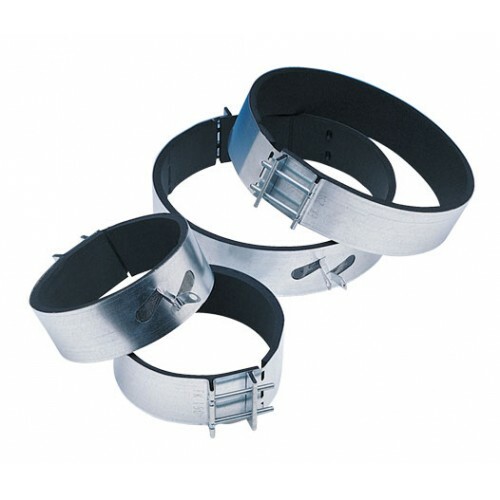 A Fast Clamp is a wide metal collar, lined with dense foam, which can be tightened around the join between a duct fan and a carbon filter. The collar is tightened with a 6mm allen (hex) key. The strong wide collar forms a very strong mechanical connection between the fan and filter while the thick dense foam makes an air-tight seal between the two. Available in 100mm, 125mm, 150mm, 200mm, 250mm and 315mm sizes.